Since you are reading this article, I am assuming that you haven’t used Spotify before. So first thing first, What exactly is Spotify? So first thing first, What exactly is Spotify? Well, it’s an online music streaming services available for people in the US and some other countries. But what make it different from rest is audio quality, music recommendation algorithm and the huge collection of the playlist. Apparently, Spotify is struggling for Patent and licensing, which is why it’s limited to US and UK. Although their team ensures that it will be available worldwide soon, it has been over two years now. But still no progress. So here is a simple workaround to help you listen Spotify outside US and UK. Before Spotify, I used YouTube for listening songs. But since I only want to hear and not see, using YouTube would result in loss of bandwidth. Moreover there, songs recommendation is not very sophisticated. 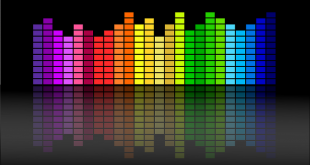 Spotify solves this problem; they have a huge collection of songs, better quality audio, great music recommendation and most importantly it organizes music according to mood, genre, playlist, etc. But the Good news is, once Spotify client is launched it does not check for geographic location ( i.e. from where are you using Spotify). So if somehow we can manage to it on our computer, we are good to go. After adding this extension, you will have to add the Spotify package. Click on the proximate icon and the top and select the Install new package. Now that you have ProxMate to bypass county restriction open spotify.com and download the program using your Facebook credentials. This is it. You have successfully install Spotify on your PC. Now you can go ahead and uninstall the ProxMate and use Spotify just like any other music player. Smartphones are now like a part of our body. And many of use prefer to listen to music on our mobile over the computer. Right? But since Spotify is not available outside the US and-and some European countries, you will see following error when you visit Spotify product page on Google Play. 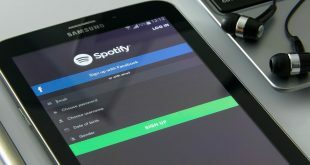 But, again you will be glad to know that there is a simple workaround to get Spotify on your Android as well. All you have to do is, somehow download it’s apk, and you are good to go. 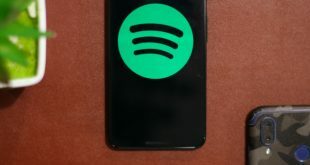 Download Spotify apk, from this website. Simply pasting Spotify’s Google play URL and click on the option which says ‘generate a download link.’ Once it’s done fetching the apk, you will see an option saying ‘click here to download apk.’ Click on that. From the device, setting makes sure you have turned on allow to install from external source. And then install the Spotify app, just you normally do. Download & install Holo free VPN from Google play. Turn it ON; you will see Spotify option there, tap on the that. This action will change your IP address to that of US. Now login with your Facebook credentials. And there you go. You have successfully install Spotify on your Android Smartphone. Note: Sometimes Spotify may log you out after few months. In that case, all you have to do is login once again with your existing credentials using Hola free VPN. We have seen how to use Spotify outside the US. It has been more than a year; I am using Spotify, and it works great. If you haven’t already tried Spotify, go ahead and use it. I am sure it’ll blow up your mind. That being said, if you face any problem in above tutorial, let me know.